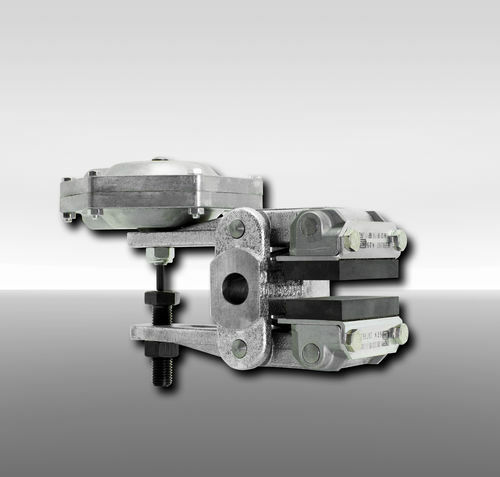 The DH 020 FPM is a brake caliper which enables mounting to the machine when perpendicular to the brake disc. Working with a brake disc that is 12.5-mm thick, the device is spring activated and pneumatically released. Machine wear is prevented through the manual adjustment which counters friction. The caliper is compatible with various thrusters. Models that are hydraulically released are also available.